Sophia is the author of the three cookbooks but also a fantastic cook. I had tasted her food many times and found the dishes very appetizing and delicious. 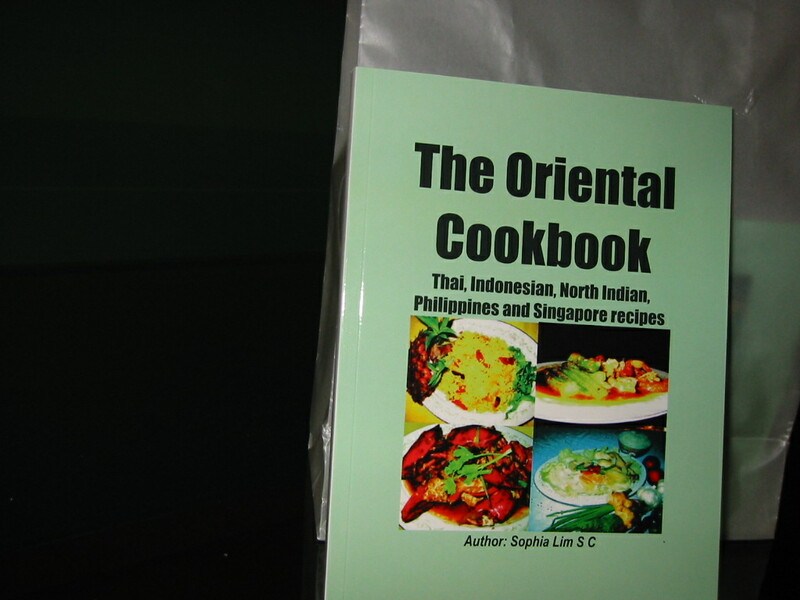 The Asian Chinese Cook Book contains all the popular and easy to cook recipes in the Chinese way. The easy-to-follow steps will guide you to cook delicious meals for yourself and family. The favourite dishes are Hainanese Chicken Rice, Deep Fried Crayfish with Black Sweet Sauce and Black Pepper Crab. Chinese Cuisines Snacks and One-dish Meal. Cuisines are food for the kings but you can now learn to cook for yourself and enjoy these delicacies – dishes like Crab Crystal Noodles, Fried Lobster with Black Bean or Drunken Prawns in Brandy. The Snacks and One-dish Meal are fast and easy to follow for a quick meal anytime. The Oriental Cookbook. The book brings you the methods and ingredients used to make your food spicy and hot. You can try Tom Yam Soup, Chili Crabs or Curry Prawns with Ladies Fingers. These food will increase your appetite and you will want more of these appetizing meals.